What is a Nasal Wash? 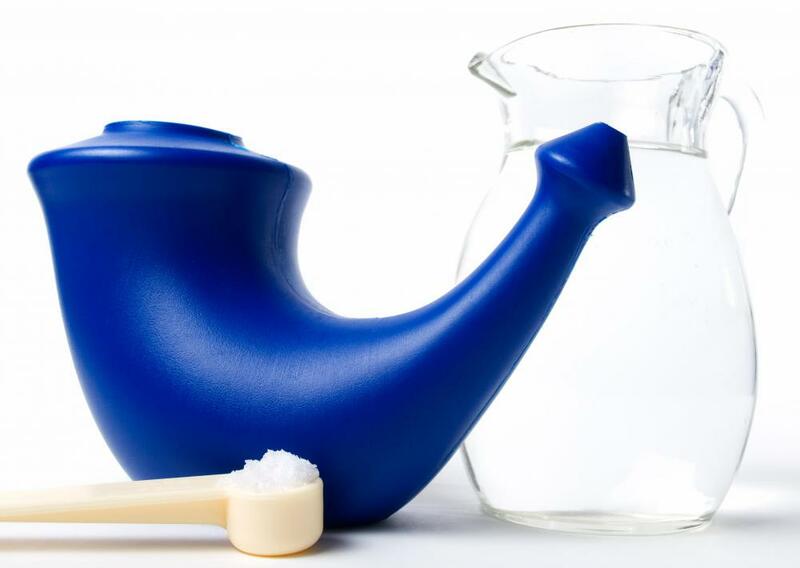 Neti pots contain warm salt water that is used to irrigate the nose. A nasal wash means rinsing the inside of the nose or sinus passages with a water and salt solution to break up mucus and rid the nose of things like contaminants or mucus. This is ancient medicine, dating back to yogic practices, that is still found highly practical in today’s world. There are many doctors that recommend a nasal wash, which can also be called nasal irrigation, to patients to help reduce symptoms associated with allergies, sinus infections, common colds, or to remove contaminants from the nose like dust or pollen. It may even help wash away some bacteria or viruses (though not all) and prevent some sinus infections or severe allergic reactions. 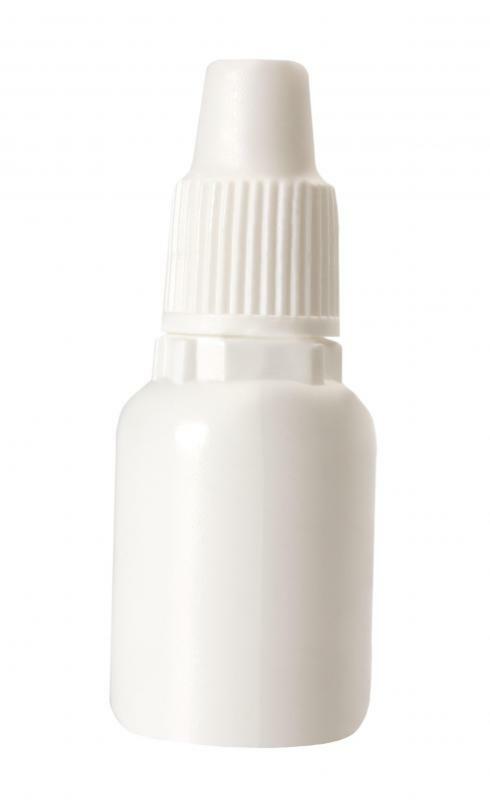 The basic nasal wash uses some form of applicator to get the saline solution into the nose. This can be a squeeze bottle, a teapot (usually called a neti pot), or some people just use their hands and snort the water. Applicators are easy to find at many drugstores as use of the nasal wash has increased. Those who have difficulty with the high volume of water pumped through the nose with things like squeeze bottles might want to consider the neti pot approach, which is gentler. These methods aren’t appropriate for infants, and usually a small dropper can be used instead on very young children, with the solution then removed with a suction bulb. People can buy packages of saline that they add to water to create the nasal wash. There are also many recipes for homemade wash online. The most basic combines eight ounces (.25 l) warm, but not hot, water, with a half-teaspoon salt and a pinch of baking soda. Don’t forget the baking soda. This keeps the water from stinging the nose. The wash ingredients are mixed and used immediately, and people should not reuse leftover solution. The best place to do a nasal wash on older children and adults is either over a sink or in the shower. The head should be turned downward and the mouth should be opened. This allows mucus or other matter in the nose to freely flow out the mouth and nostrils. People pour or squirt some of the solution, usually a couple of ounces into the nose and allow it to flow out, and they should try not to swallow during this process. Once one side is washed, the same step is repeated into the other nostril. It’s natural to want to blow the nose and this is fine provided people do so gently. Blowing too hard can cause remaining water in the nose to get into the ears. Those at risk for ear infections may need to be particularly careful. There have been studies on the effectiveness of nasal washes, and they are assessed as excellent adjunct therapy. They don’t tend to cure colds or completely end allergies, but they may certainly reduce symptoms and make congestion much more livable. Some people perform washes daily if they are prone to allergies or viruses, and others simply use them when they have any nasal congestion. Other therapies might be needed to help cure some illnesses. People with allergies may still require things like antihistamines, and those with sinus infections may need antibiotics to get better. However, even if these washes don’t cure things, they may offer great relief. What is a Sinus Nasal Wash? How do I Choose the Best Neti Pot Solution? What is an Olfactory Neuroblastoma? What is a Saline Rinse?